We’re here to take that worry off your hands and surround your loved one with the same level of care and attention you would provide yourself in an ideal world. In-home care services keep people safe, secure and independent in their own homes, however all providers are not the same and we want to show you why Nobilis is Hampshire and Surrey’s most trusted, premier home care agency. We provide the kind of in-home care you’d give yourself if you ran the company looking after your loved one – guaranteed. Our homecare is much more than a list of tasks; it’s defined by you. Care at home improves quality of life and maintains dignity and independence. Nobilis carers are carefully chosen for their warmth, empathy and desire to make a difference for our clients. We really do care about our clients and our staff. We believe that little things make a big difference, and we won’t ever compromise on the quality of care. We provide a high quality service, maybe a few pounds more than some, but that’s what good care costs. 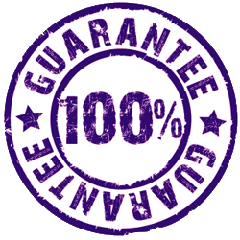 Our on-time guarantee is the best in the country, and backed by highly skilled carers to exceed your expectations. Simply put, when you choose Nobilis Care, you can’t lose.